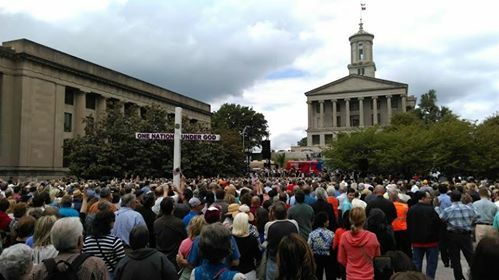 A Disgruntled Republican in Nashville: Graham rally draws 8,600. Graham says Christians must repent, pray, vote, run for office. Graham rally draws 8,600. Graham says Christians must repent, pray, vote, run for office. 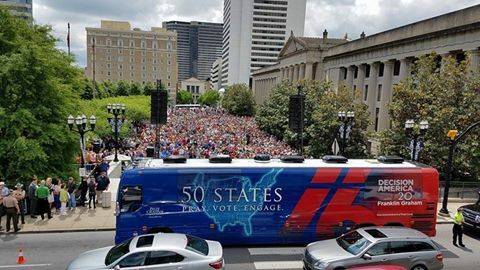 NASHVILLE (BP) -- Christians cannot restore America by rallying behind political parties, but must pray, vote and engage in politics to uphold biblical principles, evangelist Franklin Graham told a crowd of about 8,600 gathered at noon today (May 3) in front of the Tennessee State Capitol building in Nashville. Ladies and gentlemen we need leaders in high places, we need leaders in public office who are not afraid or scared to honor almighty God," Graham said. 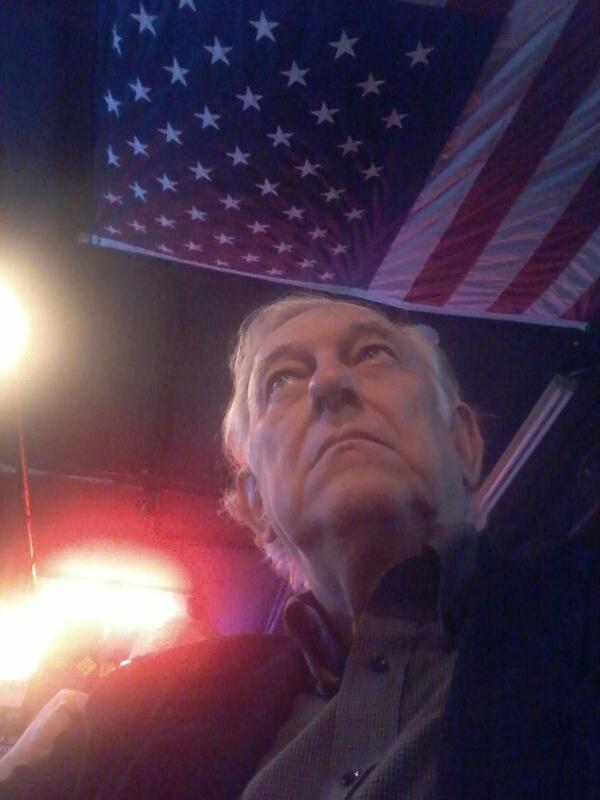 "America is being stripped of its biblical heritage and its God given foundations." Too many leaders, Graham said, are more concerned with political correctness than biblical truth, and should be willing to stand on God's Word in the marketplace. "It's time for Christians to take a stand and if they want to sue, bring it on, come on, sue us. But we're not going to shut up, we're not going to back up, because Jesus said if they did that to me, they're going to do that to you," Graham said. "So He's already warned us, so let's just go ahead and take a bullet, right? I'm just saying we take a stand for the Lord Jesus Christ, for what He taught." 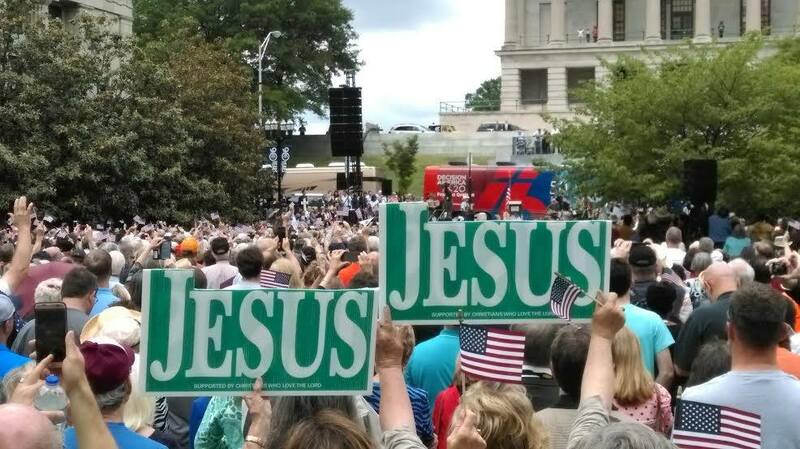 He encouraged Christians to vote not only in the presidential election, but also in local and state races. "Take your communities back. The devil's got them, let's get them back. And it could be done by the Christians, because they're more of us than there is of them. We just cannot afford to be silent anymore," he said. "We may not have another opportunity as a nation like this again. So you've got to vote."